The fourth hour of “Today” unveiled a new open earlier this fall, with a look that uses layered and dramatic angles. 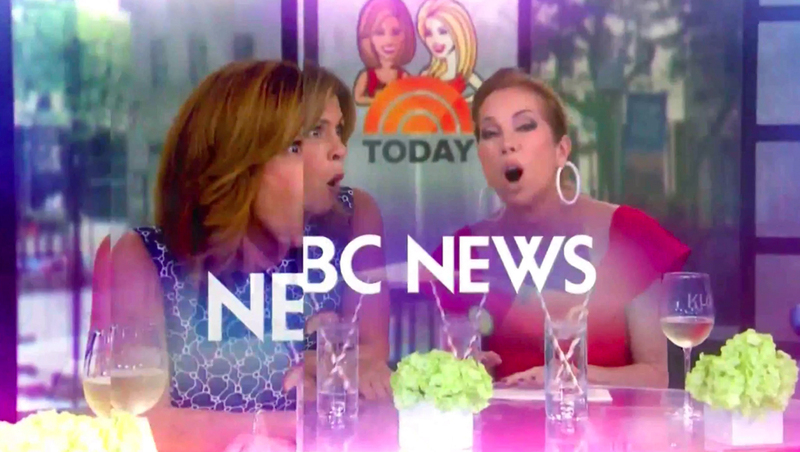 The new open features an updated collection of clips from the show — many of them from the show’s new home base on the first floor of Studio 1A — along with glass “panels” and angles that create perspective shifts, including a prominent one as over the NBC News logotype. The “Today” sunrise icon is prominently featured after this. While the teases that air right before the actual open still use the “cartoon” style drawings, the open itself moves away from this look — with the polygons containing Kathie Lee Gifford and Hoda Kotb’s names taking on a slightly glassy and sparkly look.